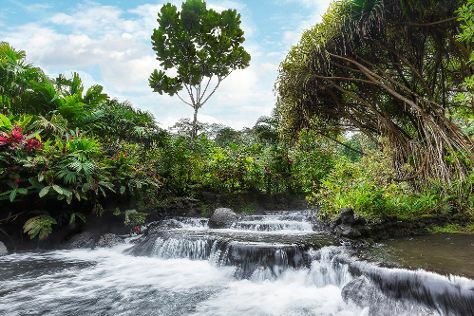 Get in touch with nature at Tabacon Hot Springs and Baldi Hot Springs. 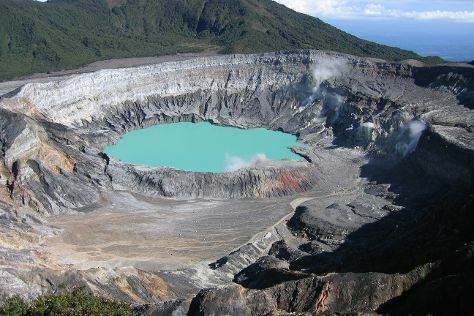 Spend the 16th (Thu) among the fascinating landscape of Arenal Volcano (Volcan Arenal). To find photos, other places to visit, maps, and more tourist information, refer to the La Fortuna de San Carlos custom trip planner. Winnipeg, Canada to La Fortuna de San Carlos is an approximately 18.5-hour flight. Cap off your sightseeing on the 23rd (Thu) early enough to go by car to Puerto Viejo de Talamanca. Get outdoors at Puerto Viejo Beach and Cahuita National Park. You'll get in some beach time at Playa Chiquita and Playa Cocles. And it doesn't end there: identify plant and animal life at Nature Observatorio, indulge in some culinary diversions at a local gastronomic tour, and get a taste of the local shopping with Luluberlu Art Gallery. To find ratings, maps, where to stay, and other tourist information, read Puerto Viejo de Talamanca tour planner. Traveling by car from La Fortuna de San Carlos to Puerto Viejo de Talamanca takes 5 hours. Alternatively, you can do a combination of shuttle and bus. The time zone difference when traveling from La Fortuna de San Carlos to Puerto Viejo de Talamanca is 1 hour. In November, daytime highs in Puerto Viejo de Talamanca are 30°C, while nighttime lows are 30°C. Cap off your sightseeing on the 27th (Mon) early enough to travel to Turrialba. Popular historic sites such as Guayabo National Park and Monument and Our Lady of the Angels Basilica (Basilica de Nuestra Senora de Los Angeles) are in your itinerary. Explore the numerous day-trip ideas around Turrialba: Cartago (Jardin Botanico Lankester & Ruins of the Church of Carthage), House of the Dreamer - Casa Del Sonador (in Cachi) and River Rafting & Tubing (in Tres Equis). To find ratings, more things to do, traveler tips, and tourist information, read our Turrialba trip itinerary maker. Traveling by car from Puerto Viejo de Talamanca to Turrialba takes 3 hours. The time zone changes from Eastern Standard Time to Central Standard Time, which is usually a -1 hour difference. Traveling from Puerto Viejo de Talamanca in November, plan for a bit cooler nights in Turrialba, with lows around 22°C. Finish your sightseeing early on the 29th (Wed) so you can travel to Tortuguero. On the 30th (Thu), look for all kinds of wild species at Tortuguero National Park. Here are some ideas for day two: examine the collection at Sea Turtle Conservancy and then choose your vessel at Tortuguero Adventures. To see other places to visit, traveler tips, reviews, and more tourist information, go to the Tortuguero vacation builder. Use the Route module to find suitable travel options from Turrialba to Tortuguero. 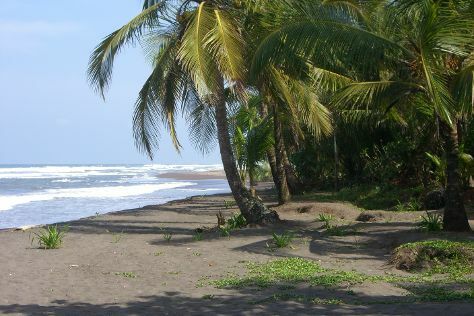 In November, daily temperatures in Tortuguero can reach 30°C, while at night they dip to 22°C. Finish your sightseeing early on the 2nd (Sat) so you can travel to Vara Blanca. Get some cultural insight at Galeria Namu and Precolumbian Gold Museum. Take a break from the city and head to La Paz Waterfall Gardens and Poas Volcano. Get out of town with these interesting Vara Blanca side-trips: Jade Museum (in San Jose) and El Toledo Coffee Tour (in Atenas). To find ratings, reviews, other places to visit, and more tourist information, refer to the Vara Blanca custom trip planner. You can do a combination of flight and taxi from Tortuguero to Vara Blanca in 1.5 hours. In December, plan for daily highs up to 32°C, and evening lows to 21°C. Wrap up your sightseeing on the 4th (Mon) to allow time to travel to Manuel Antonio National Park. Get in touch with nature at Parque Nacional Manuel Antonio and Playa Biesanz. Venture out of the city with trips to Uvita (Rancho La Merced National Wildlife Refuge & Uvita Beach). To see photos, traveler tips, where to stay, and more tourist information, go to the Manuel Antonio National Park trip itinerary planner. Do a combination of taxi and flight from Vara Blanca to Manuel Antonio National Park in 1.5 hours. Alternatively, you can drive; or do a combination of taxi and bus. In December in Manuel Antonio National Park, expect temperatures between 30°C during the day and 22°C at night. Finish up your sightseeing early on the 9th (Sat) so you can travel to Santa Teresa. On the 10th (Sun), enjoy the sand and surf at Playa Carmen, then take in the dramatic scenery at Montezuma Falls, and then stop by Tica Surf Bikinis. Get ready for a full day of sightseeing on the next day: enjoy the sand and surf at Playa Santa Teresa and then kick back and relax at Playa Hermosa. For other places to visit, ratings, photos, and more tourist information, refer to the Santa Teresa custom trip planner. You can ride a ferry from Manuel Antonio National Park to Santa Teresa in 3.5 hours. Alternatively, you can drive. Wrap up your sightseeing on the 11th (Mon) to allow time to drive to Playa Samara. We've included these beaches for you: Samara Beach and Nosara Beach (Playa Guiones). Escape the urban bustle at Barrigona Beach and Nosara Refuge for Wildlife. Get out of town with these interesting Playa Samara side-trips: Nosara (Nosara Wildlife Sanctuary at Sibu & MAEL's ABSTRACT ART GALLERY). 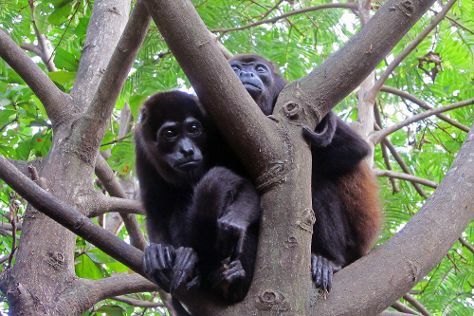 There's more to do: look for all kinds of wild species at dondeJavitours. To see maps, other places to visit, photos, and other tourist information, use the Playa Samara travel itinerary creator. Traveling by car from Santa Teresa to Playa Samara takes 2 hours. Alternatively, you can drive. In December in Playa Samara, expect temperatures between 38°C during the day and 24°C at night. Finish your sightseeing early on the 14th (Thu) so you can take a bus to Tamarindo. Your itinerary includes some good beach time at Playa Conchal and Playa Hermosa. Escape the urban bustle at Llanos de Cortez Waterfall and El Viejo Wetlands. Get out of town with these interesting Tamarindo side-trips: Playa Avellana (in Playa Avellanas) and Playas del Coco (Iglesia Catolica de Playas del Coco & Rojas Bros Boruca Indigenous Art & Gallery). For photos, where to stay, and other tourist information, you can read our Tamarindo trip itinerary maker. Traveling by bus from Playa Samara to Tamarindo takes 1.5 hours. Alternatively, you can drive; or drive. 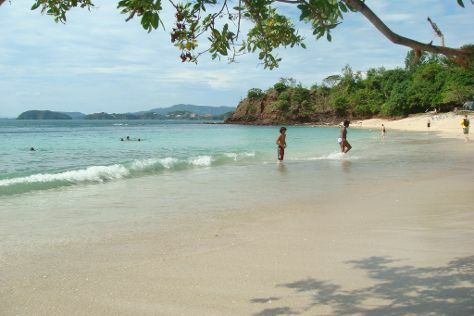 December in Tamarindo sees daily highs of 38°C and lows of 24°C at night. Finish up your sightseeing early on the 18th (Mon) so you can travel back home.